Bathtub refinishing has proved to be a handy and cost-effective way to give your bathtub a whole ‘new’ look without actually replacing your old bathtub. Yes, it is possible thanks to the process of bathtub refinishing which can make it look and perform like new at very affordable prices in minimum downtime. The advantages of refinishing are not limited to just the bathtub, but also showers, sinks, countertops and ceramic tiles that are worn out, faded, or very hard to clean. When you read about the advantages of porcelain refinishing, you’ll find it hard not to consider implementing it on your old porcelain fixtures. Bathtub refinishing is relatively inexpensive when you compare it with replacing. It has saved property owners thousands of dollars in replacement costs. 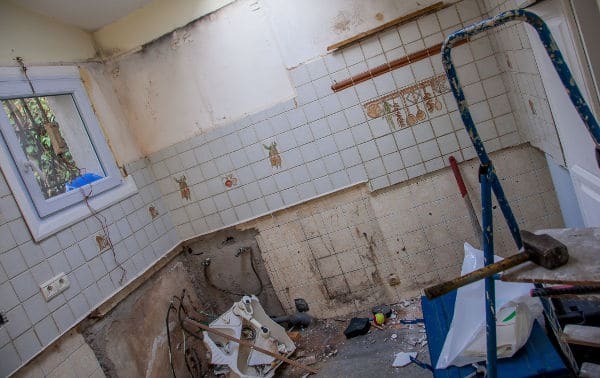 Homeowners and commercial property owners are saving a large chunk of money without resorting to the mess of demolition, removal and replacement of old bathroom and kitchen fixtures. Bathtub reglazing helps you to save a lot of time. It is a simple and convenient way to give a makeover to your old bathtub in as little as 24 hours. Compare it with bathroom renovation that makes a bathroom dysfunctional for few days and the inconvenience you have to deal with when you only have one bathroom in your house. Reglazing is the practical way to restore the old look of your bathroom without too much downtime. When you choose reputable porcelain coaters, you ensure that your reglazing will be done using non-toxic chemicals, which means no harmful and toxic fumes will linger inside your home. Another advantage of bathtub reglazing is that you do not need to hire a contractor or plumber. Reglazing technician carries all the stuff that is required to prepare the old surface and then apply the new surface. Contact Total Koatings and learn just how affordable, convenient and durable their porcelain resurfacing service is and how it can add years of life to your existing porcelain and tile. I appreciate you pointing out that when reglazing is done by professionals, you can be sure that no toxic chemicals are used which will linger in your home. My husband and I are remodeling our bathroom, and we are wondering what we should do with our tub. We’ll be sure to reglaze it since non-toxic chemicals will surely be used. Not many people consider bathtub reglazing when doing a remodel, but there can be a surprising number of benefits to it. As the article points out, a reglazing can give your bathtub a whole new look in a short amount of time. That can be really beneficial when you’re on a time crunch during your remodel. Since you pointed out that bathtub reglazing helps me to save a lot of time, I’ll consider having my bathtub reglazed instead of buying a new one. I do agree that bathtub refinishing is relatively inexpensive as you mentioned because I need to install a new system if I get a new tub. If it can make it look and perform like new as you suggest, I’ll hire one before my guest comes this March. I do agree that the shower’s bathtub is cheaper when it’s reglazed instead of when it’s replaced since bathtubs are hard to find. Since it will save me a lot of time, I can use the bathtub the next day when I need to go to work. As long as the contractor I’ll find uses reputable porcelain coaters, I should have no problems with fumes so I’ll think about hiring an expert to do it instead.